Rugged and stylish with BRUTAL torque and room for the kids and toys! 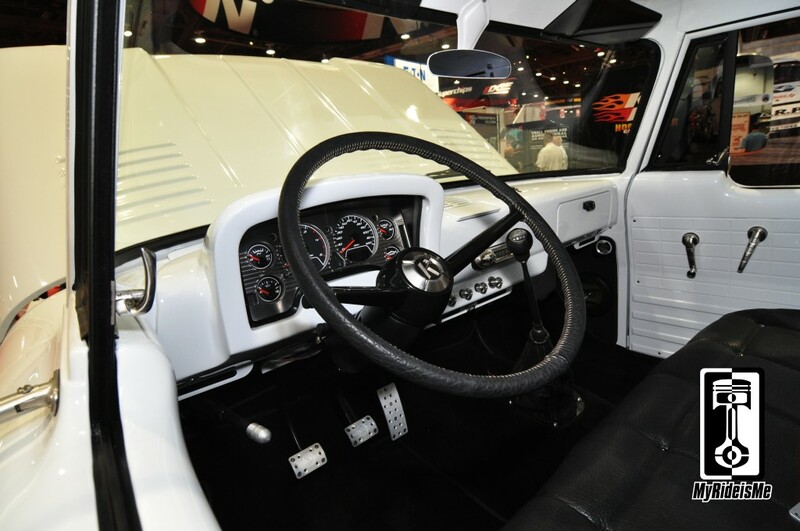 That’s the ICON 1965 Dodge D200 Crew cab truck found at the Optima Batteries booth at the 2012 SEMA Show. This truck rocks! 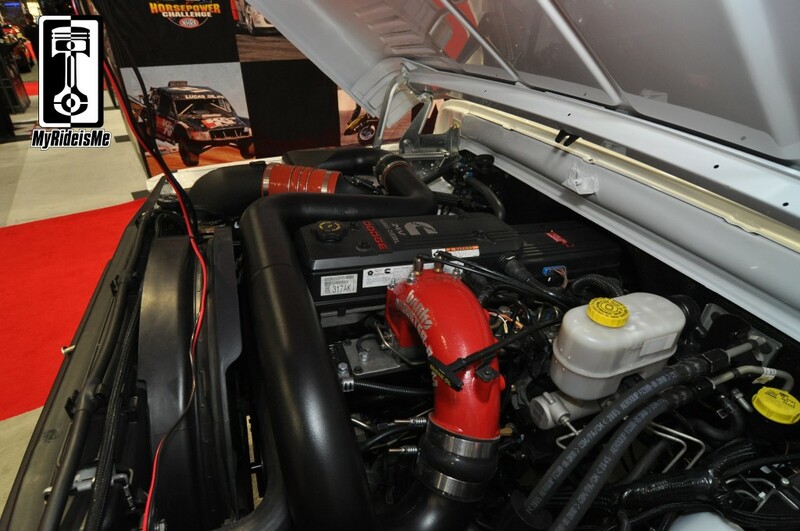 From every angle, this Dodge D200 is striking! 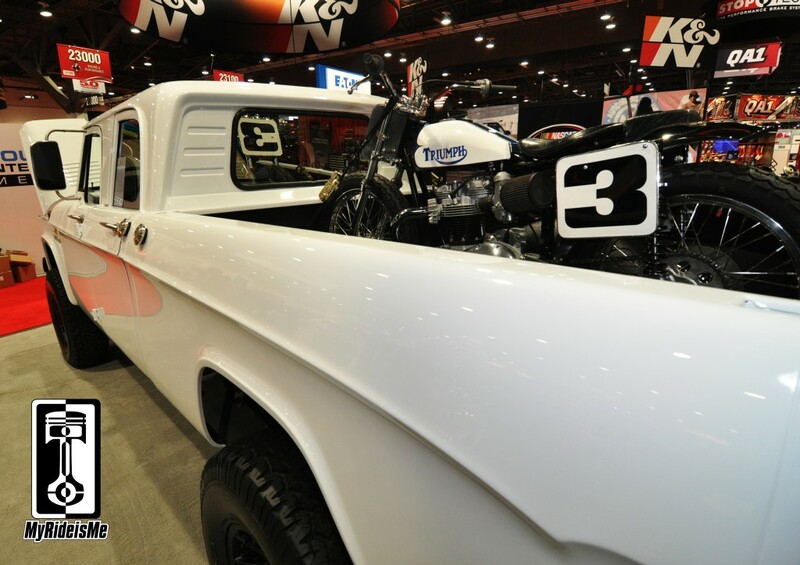 I’ve been a fan of Dodge D200 trucks since I saw this at Goodguys a few years back: Dad’s Old 1965 Dodge D200. While not a crew cab, it’s a great looking custom truck. Sneaking a peak at the build card, this is the ICON D200 Reformer. I don’t know about “reform” it makes me want to be bad! The D200 crew cab body rides on a 2006 Dodge 3500 truck chassis and runs the Cummins diesel, but with a little help from the Banks crew to the tune of 975 ft-lbs of torque! That’s riding on a Kore Baja Chase suspension with 37″ BFG’s and Hutchison bead lock wheels. Inside, it’s just as trick. I had to look this up, but it’s stitched with “Parabellum Bison Hide”. From what I can find, it’s the, “Richest, softest, most complicated and beautiful leather in the world.” Haha… Good thing or it might clash with the Rolls Royce Wilton wool carpet. Hmmm… overkill for a 4WD pickup? NAH! Plug in your Ipod and you haven’t a care in the world. 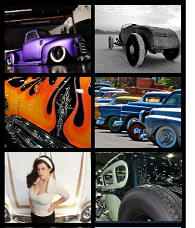 Trying to show my range here… is this something you dig for MyRideisMe.com? I think it’s easily one of the coolest rides at SEMA.